Atlanta real estate attorney Jim Fletcher provides legal services regarding Real Estate law, with a focus upon simplifying the quiet title process in Georgia for buyers of tax deeds, as well as other complex real estate matters. Jim writes about tax deeds and the quiet title process at www.QuietTitleLaw.com . 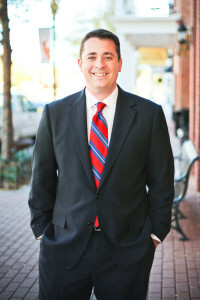 Jim Fletcher has been named a “Rising Star” by Super Lawyers, and rated a perfect 10.0 by Avvo.com. He is known as a creative, experienced and knowledgeable attorney who will take the time to address your specific needs. To get started with your needs, contact us today at: (404) 409-5665 or email: Jim@JimFletcher.net and schedule an initial consultation.